Mystery at the Mansion is a 25 payline video slot with the probability of 30 free spins. This Video Slot gives you the chance to solve a murder in Cluedo-style, and a high price to win. If you fancy yourself a bit of a Sherlock Holmes then this is the bonus slot for you. This game has it all – bonus feature, free spins and wild symbols to help with those winning bet lines. Update: unfortunately Mystery at the Mansion is no longer available. This online casino video slot has a bonus game which is set in a mansion full of mystery and suspicion since someone has been murdered. It is the players job to play detective and work out who is the murderer, what is the murder weapon and what is the reason for the murder. Every correct answer has a coin vlaue that will be your winnings at the end of the bonus feature for Mystery at the Mansion slot. 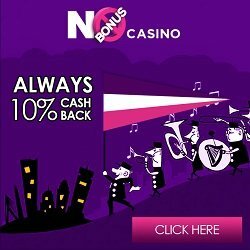 To enter the bonus mode you simply need three or more bonus symbols in any one bet line on the reels. The free spins round for this game is also won by getting three or more scatter symbols randomly on the video slot reels. They will then give you the amount related to the number of symbols you spun. These free spins are played at he same amount as the initializing round. The wins are then tripled and added to your score at the end of the round. There are four bet levels to play on and a number of different coins to bet for each spin. This is a game that will have you coming back for more time after time. Enjoy!